Ok, so this isn’t really a run all in its own, but is more of a great addition to the normal Pauley run that lies below. 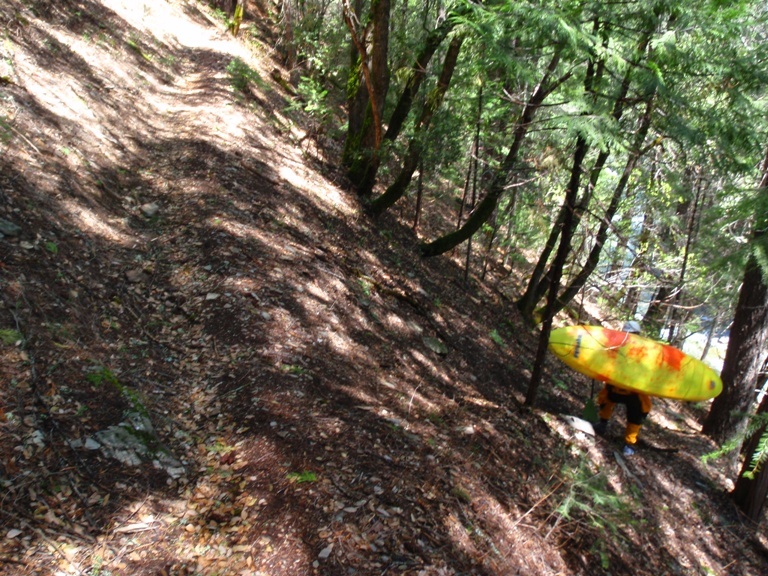 Also, don’t mistake this as the “Upper Pauley Creek” which is the run that is above this run. 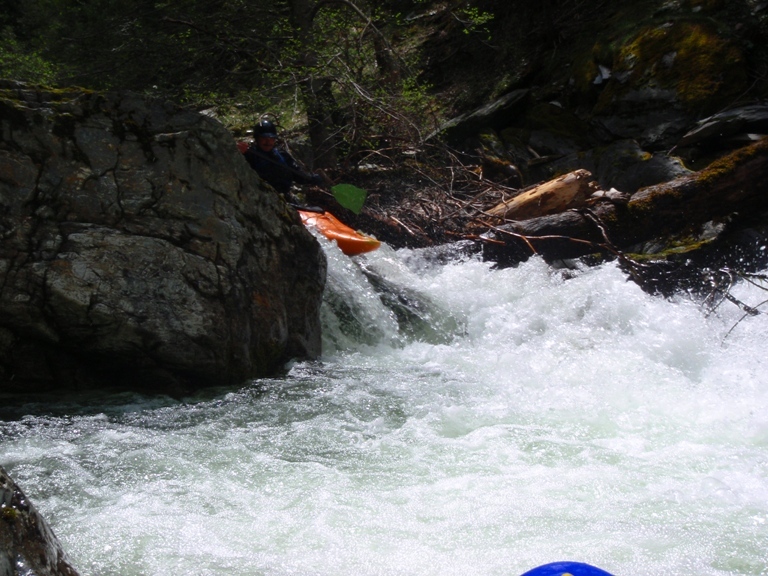 Upper Pauley is more of a class V run (so I have heard, yet to get on it myself), this run consists of class IV-IV+ rapids, where as the Lower Pauley consists of class IV Falls. 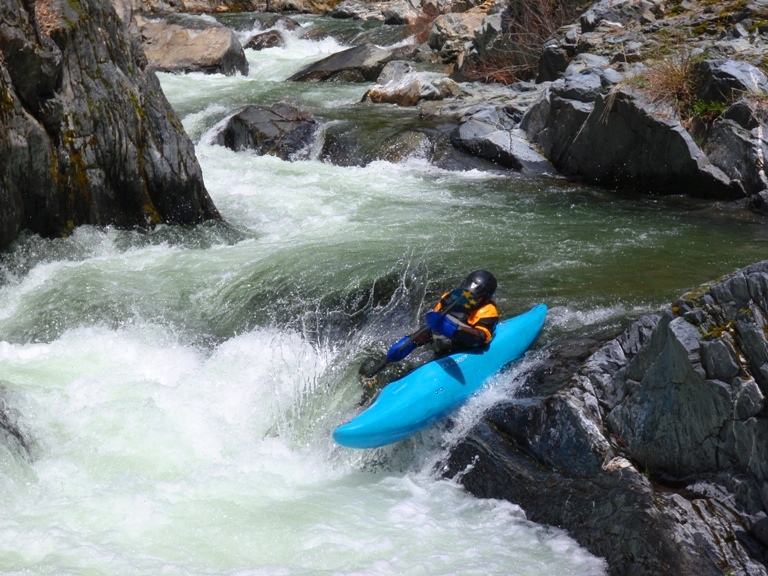 I would say it takes more skill than Lower Pauley since rapids are less forgiving than falls. In a fall if you flip, roll up. In a rapid you have to be prepared for running the rest of the rapid using only your head to rudder you. The other reason I am separating the two write-ups (as opposed to adding a few words in the Lower Pauley write-up) is because I want to make sure attention is brought to this one. Self-serving? Absolutely. So anyway, as Pete summed up at the end of our day, we have now found a great day in Downieville. 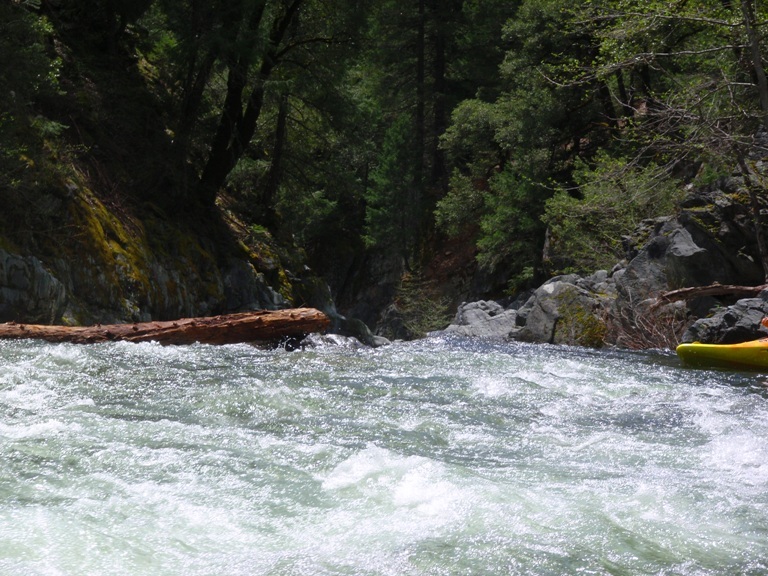 It began with hiking up about a mile (you can hike further and arrive at a Miner’s Camp, this adds one piney rapid, one perennial log portage, and some ok rapids). We then ran down the Middle Pauley Creek run, followed of course by the Lower Pauley run, and this is where we did something creative. 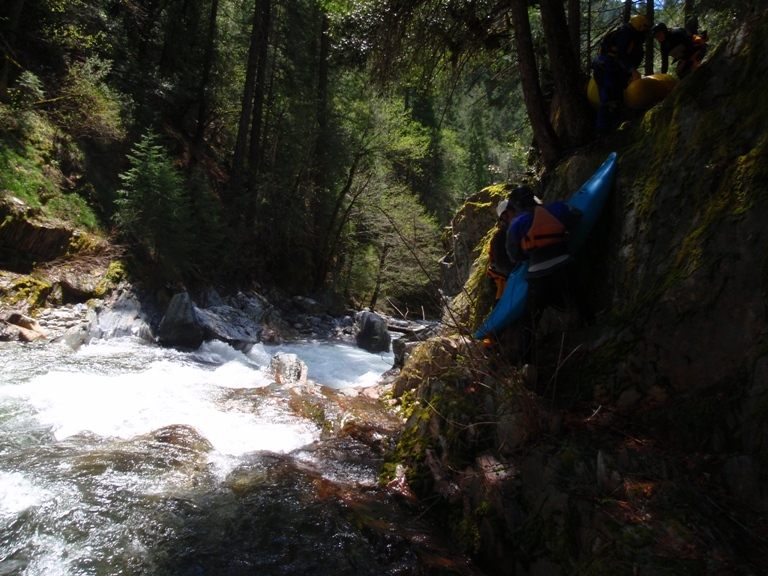 At the beginning of the day we set a car at the take-out for Rosassco Canyon on the North Yuba. 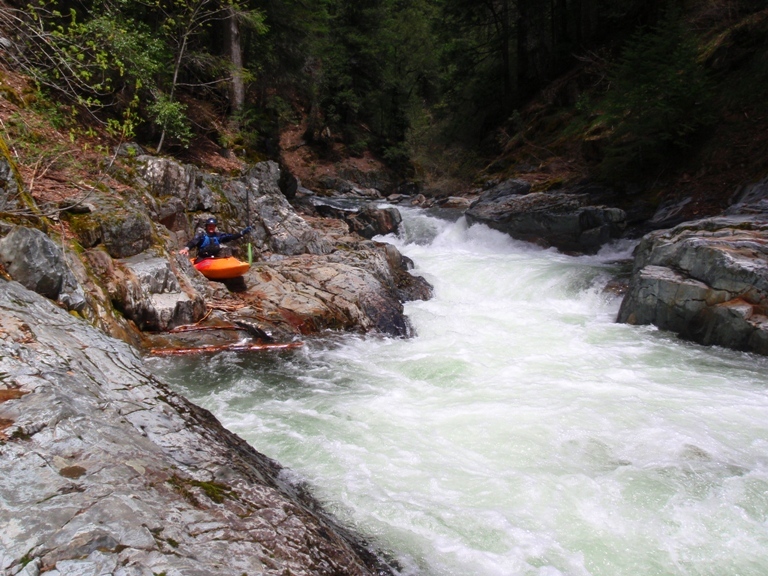 So after a brief portage of Pauley Falls, (since none of us are loaded and wanted to beat our boats) we continued the few hundred yards to the confluence with Lavezolla Creek, where the two are renamed “Downie River” and continued one mile to the confluence of the North Yuba (this mile only takes 5-10 minutes at most). 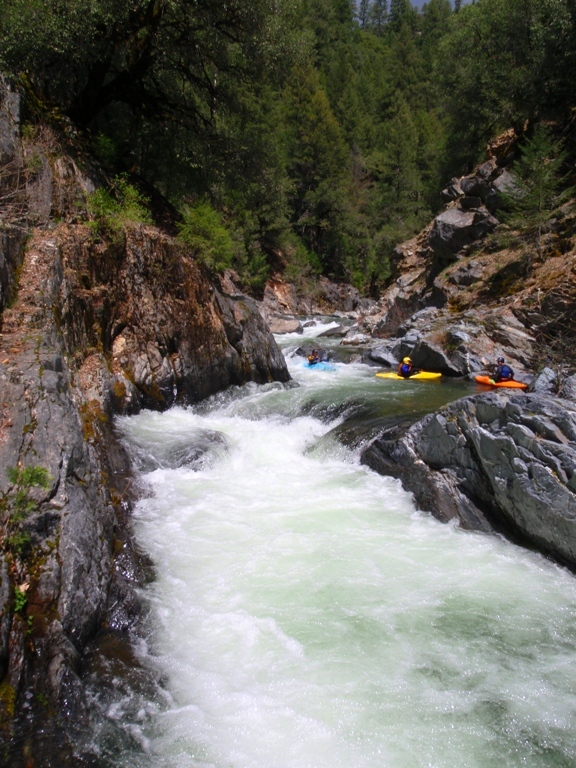 We then paddled the 4 miles down to Goodyear Bar through Rossasco Canyon which offered great class III rapids with a half mile of class IV+. 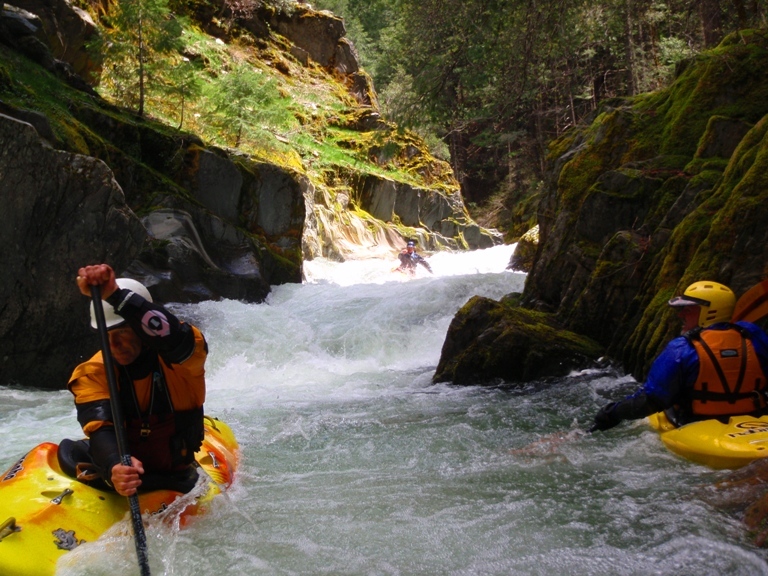 What a great way to make a day in Downieville. Swim Team (IV). This first hole was stickier than we expected. 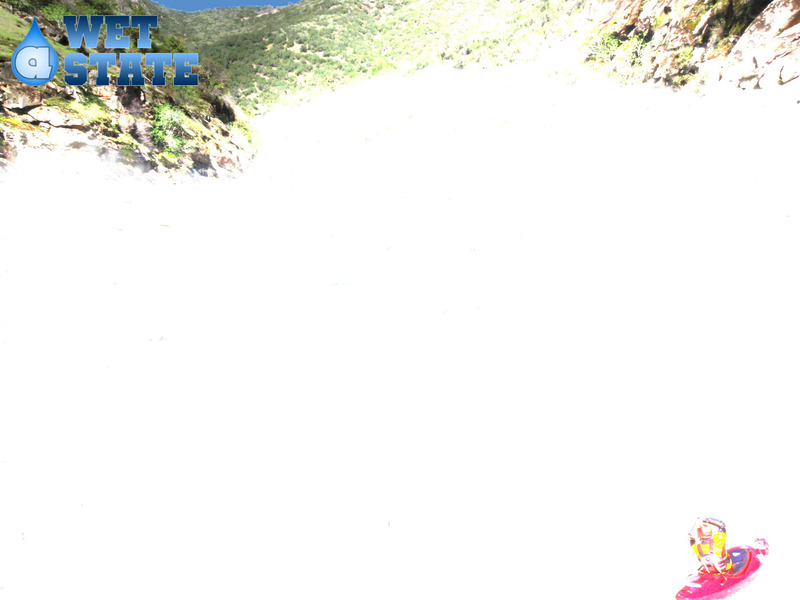 It also didn’t help that I had a stuck swimmer to avoid as I went through. Anyways, a double drop with the first hole being deeper and stickier than it looks. Around the Corner (III-). 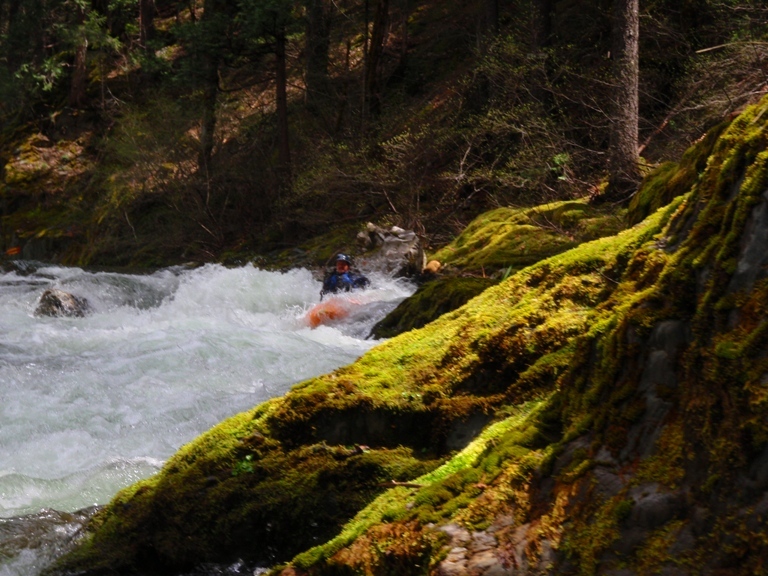 The next rapid below is straight forward down the left. Flake (III-). A nice, albeit rocky, drop. There is a flake in the middle that was a nice fun boof. Double Drop (IV+). Two holes stacked on each other. We were told left and then middle. Hitting the first hole left ensures you will be running the next ledge on the left, not the middle. It is ok, the left side had a bit of a crack but enough water to bang through. Ledge (IV). This 6-8 foot left is best run on the far right shore where there is a nice ledge to boof off of. Wood? (III). A steep horizon line tells you that the end is approaching. 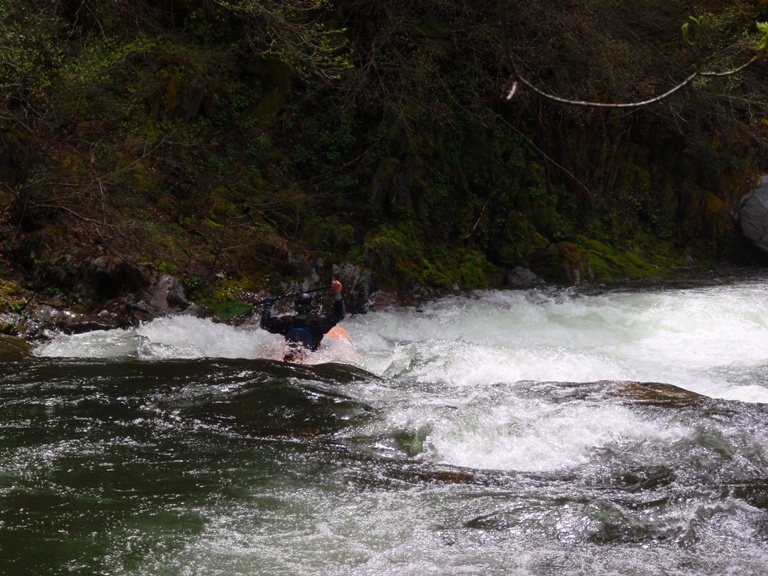 It also looks like there is going to be wood in the rapid, we went down the left and it was clean. This rapid continues a ways until we eddied out on the right above an obvious horizon line that was mostly blocked with wood. Wood (III-). Bang down the right side, not fun, but clear of wood. End (IV). Enter the first few holes, avoid the big rock in the middle, run the ending ledge on the left. The last ledge has a weird seam in the middle that has sent people down for a few seconds apparently. 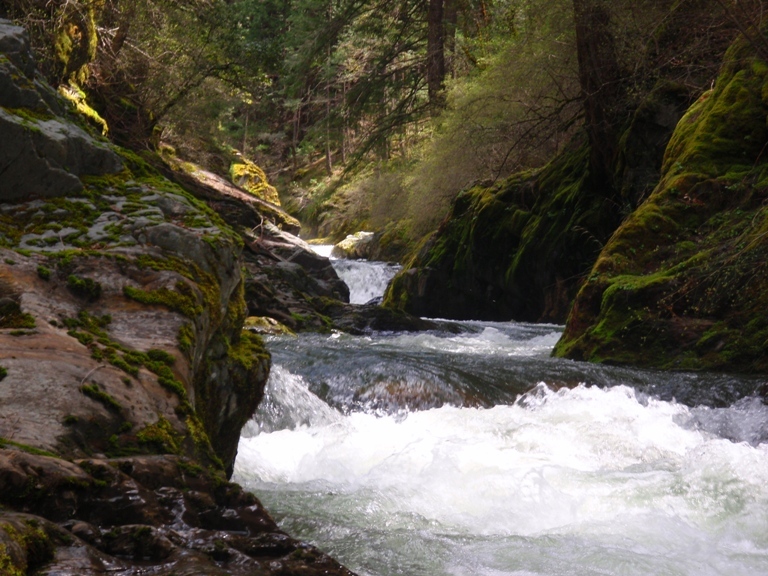 Put-in/Take-out: Take Highway 49 to Downieville, follow main street out of town. Main street parallels Downie Creek out of town, follow signs towards “Second Divide Trail.” Continue driving up the road to the Second Divide. At the crest of the road, park and follow the “Second Divide Trail” along the river until you want to put in.